Size of File – What Are Bits, Bytes (B), KiloBytes (KB), MegaBytes (MB), GigaBytes (GB), TeraBytes (TB) For Files And Folder? As for everything else there is a unit that measures the size of a file in order to determine how much space it occupies on the storage. The smallest unit is the Bit and it has two states – 0 (Zero, Off, False) or 1 (One, On, True). Of course having only two states can hold information whether an option is enabled or disabled, but it does not help in expressing numbers or letters. This is the reason why the bits are grouped together in order to form the next larger unit – Byte. The Byte is a group of 8 Bits and can represent a number in the range of 0 to 255 – it is limited by the count of all the possible combinations that the 8 bits can have and they are 2 to the power of 8 which equals 256. In order to represent digits and letters every symbol is assigned a number from 0 to 255 – those are determined by the ASCII table. So a byte can represent a character, digit or a symbol according to its value. Nowadays a Unicode or UTF-8 standard is more popular, where 2 bytes represent a single symbol – this helps to support multiple languages, alphabets and special characters. The next larger unit after the Byte is KiloByte and contains 1024 bytes. Click this File Size Information link for a table representation and a free file size calculator / convertor. 1 GB = 1000 MB or 1 000 000 000 bytes. Mebi is a prefix derived from the words mega and binary, indicating its origin in the closeness in value to the SI prefix mega. One mebibyte (MiB) is 2 ^ (to the power of) 20 (i.e., 1024 x 1024) bytes or 1048576 bytes. Megabyte (MB) means 10 ^ (to the power of) 6 (i.e. 1000 x 1000 = 1000000) bytes and differs from MiB. 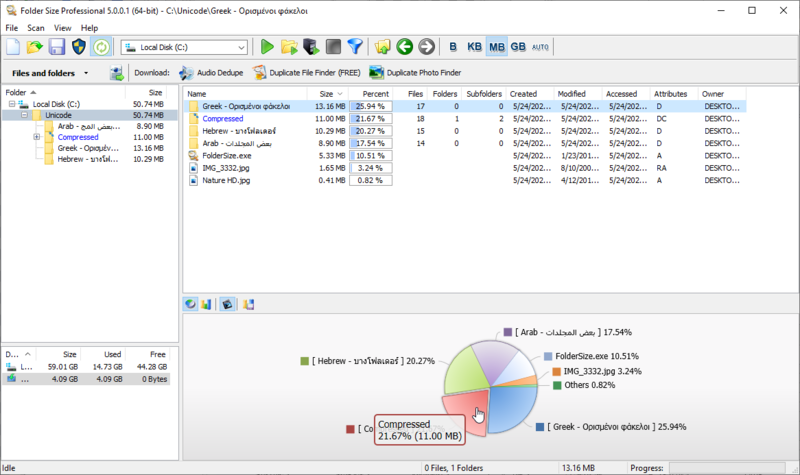 Download a free tool that can Analyze Directory and File Sizes. While the size of every file is displayed next to every file in Windows Explorer, such information is missing for the folders as it has to be calculated by analyzing the content of the directory – all its files and sub-folders. This free tool visualizes this information in a neat table and provides nice charts in order to easily check the distribution of the drive space. 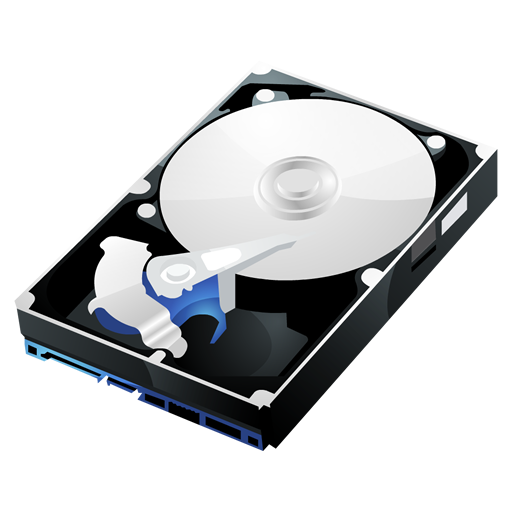 It also provides reports for the largest files and largest folders and helps with the disk cleanup process. This entry was posted in Information and tagged Bytes And Megabytes, Bytes Gigabytes Megabytes, Bytes Kilobytes Megabytes, Calculating File Size, Check Folder, Convert File Size, Directory Size, File, File Size Explained, File Size Info, File Size Information, File Size Measures, File Size Units, File Sizes, File Sizes in Windows, File Sizes in Windows 7, File Sizes in Windows 8, File Sizes in Windows Vista, File Sizes in Windows XP, Files And Folders, Folder File, From Megabytes to Gigabytes, Megabytes in a GB, Megabytes to Bytes, Megabytes to Gigabytes, Size Folder, Size Of File, Size of Folder, Tree Size, TreeSize, What is Mega Bytes, Windir Stats, Windirstats, Windows File Size on July 11, 2013 by MindGems Support.